Soccer drills to improve ball control are done focusing on the touches and technique, rather than speed. Set up a rectangle with 6 cones spaced 10 m/yd horizontally, and 5 m/yd vertically. Dribble the soccer ball from one cone to another horizontally. When you reach the last cone, turn around it, and bring the ball back to the starting point. Get creative with the soccer ball, using different moves and dribbles to bring the ball back. 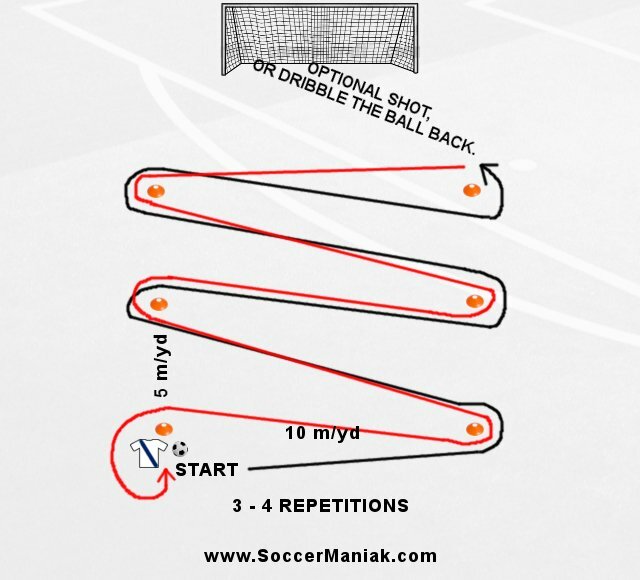 Juggle the ball across, and around cones. Use quick, short touches when dribbling the soccer ball. Keep the ball close. Make tight turns around the cones. Really Concentrate on your touches; every step should be a touch on the ball.